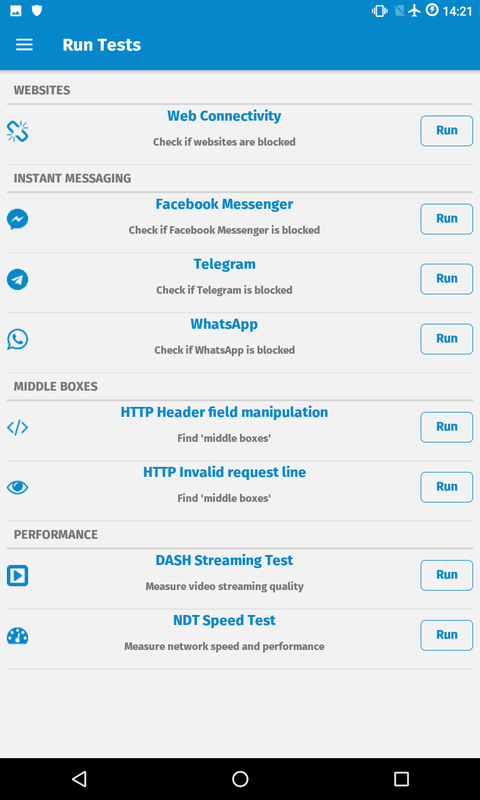 Anyone can easily download and scan their network using the FOSS Android OONI Probe app on f-droid. Of course, this app necessarily attempts to access questionable content (ie: websites designed to bypass censorship, pornographic websites, etc) and necessarily uploads potentially personally-identifiable-information into their public database–something to keep in mind if you’re running an OONI probe within the boundries of an oppressive regime. 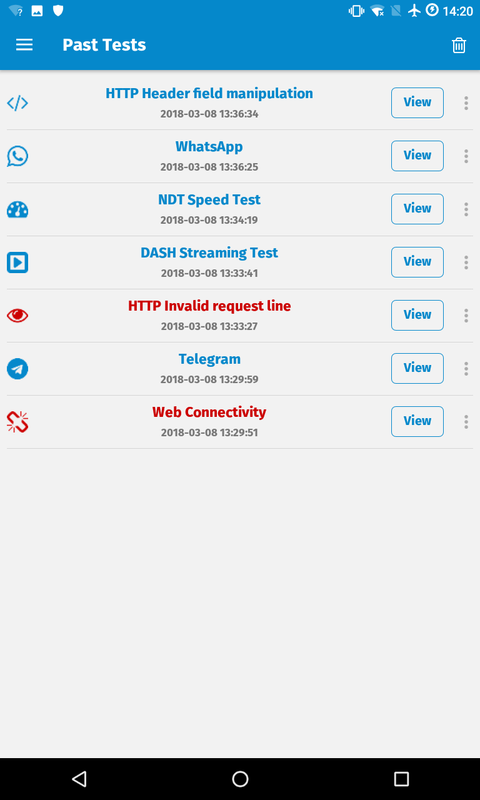 I did a test run of OONI Probe on a library’s public wifi, and the “HTTP Invalid request line” and “Web Connectivity” tests showed clear evidence of censorship and network tampering. Many websites (psiphon.ca — a tool for bypassing DPI censorship & ultimatebirthcontrol.com — a seemingly innocuous link farm for information on birth control) were entirely censored. Moreover, the server reported many packet headers that were manipulated by the “McAfee Web Gateway”. If OONI Probe shows that your network traffic is being manipulated, checkout my article on Bypassing DPI to learn how to use Tor Pluggable Transports to bypass such censorship.